One Thimble Issue 18 is out on Friday! 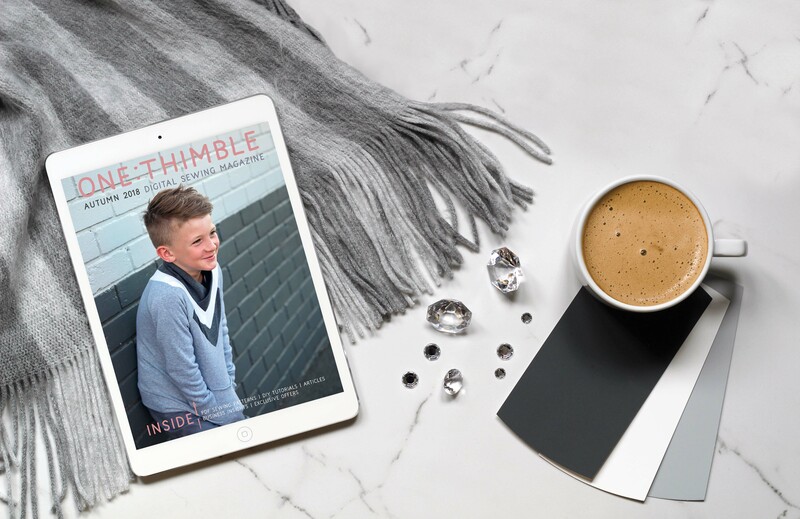 If you’d like to look inside One Thimble Issue 18 check out this flipbook! New to One Thimble and wondering how it works? One Thimble is a digital sewing magazine (e-zine). It is delivered as a PDF file and you can flip through it like a magazine on your computer or tablet device. Patterns can be printed out on a regular home computer and assembled as you would with a regular PDF pattern. Purchasing an issue of One Thimble will get you two download links. One is the link to the E-zine – it has the articles at the front and all the pattern tutorials at the back (but not the pattern pieces). The second link is to a ZIP file with the stand alone patterns all separate. You’ll find the pattern pieces here. Keen to get your copy? One Thimble Issue 18 will be available to purchase HERE after 16th February. If you’d like to get your copy the day before you can purchase a subscription from HERE. Subscribers get their copy the day before everyone else! You may have noticed that things were a little quiet around here over December and January. 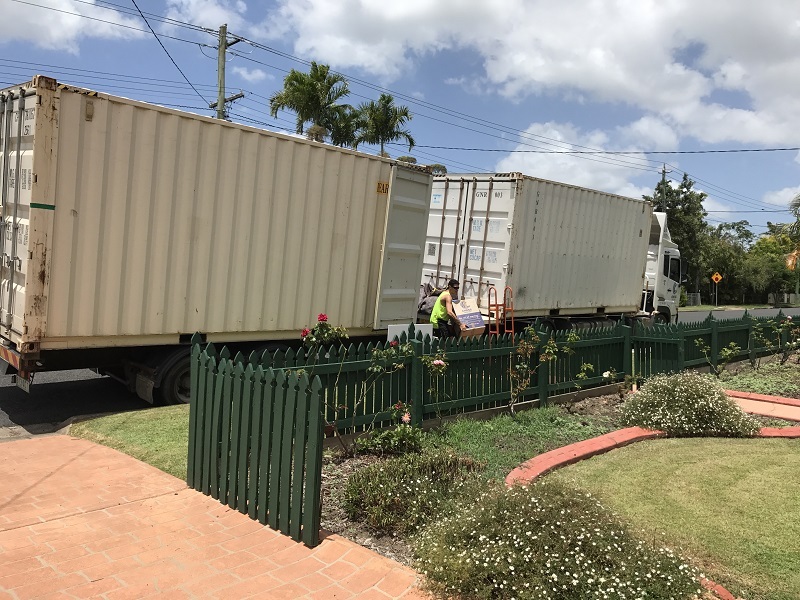 Well the big news is we moved 1400km South over the Christmas break! It was so much more intense than I’d expected, but now things are slowly settling into a routine and Issue 18 is just around the corner! 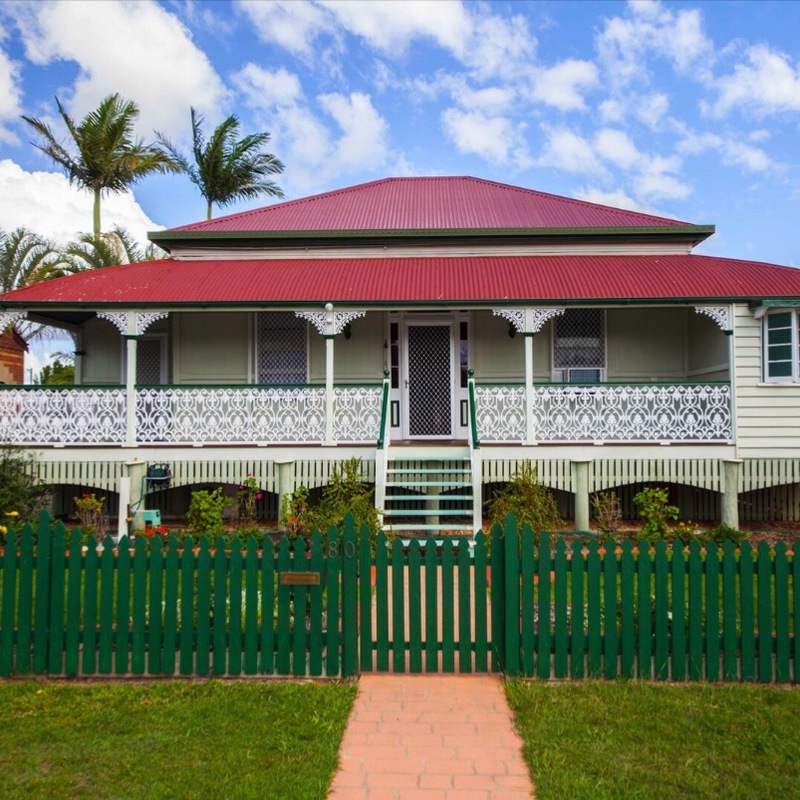 I really feel like living in Cairns had a huge influence on the creation and vibe of One Thimble for the first 4 years and I’m excited to see how living in Maryborough shapes it’s future. Oh my goodness this is what happens when you’re collectors (ie hoarders) and you haven’t moved for 15 years!!! … and here she is! Our beautiful new home! One Thimble HQ is spread across two little sleep out rooms. 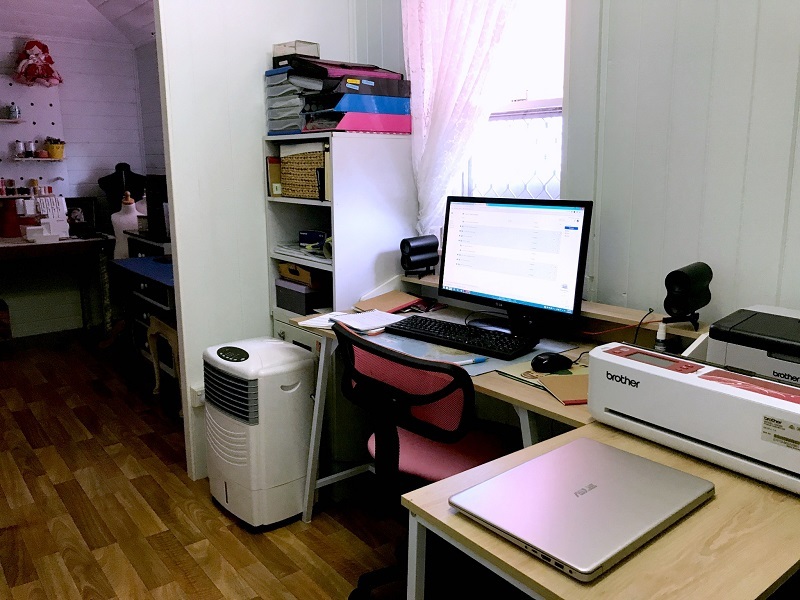 I’ve got one set up for sewing and the other has my office. 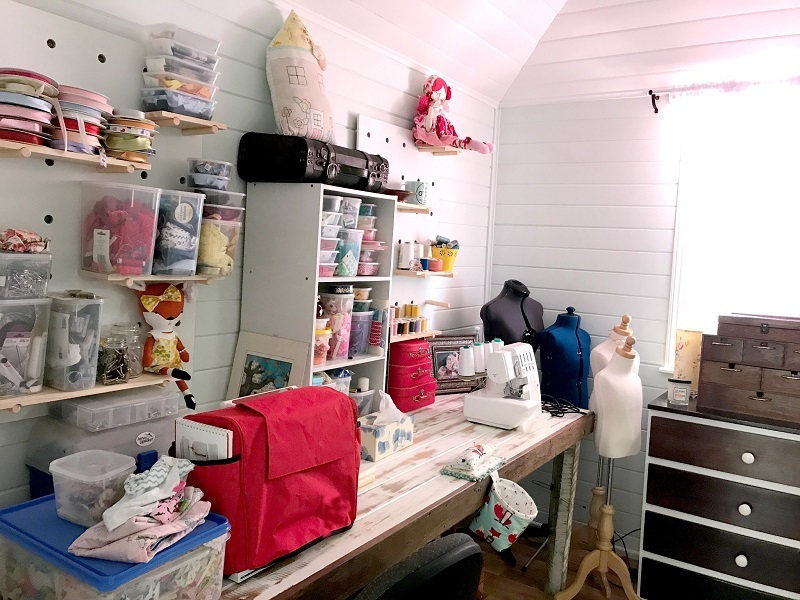 The sewing room … cluttered and crazy and just the way I love it! 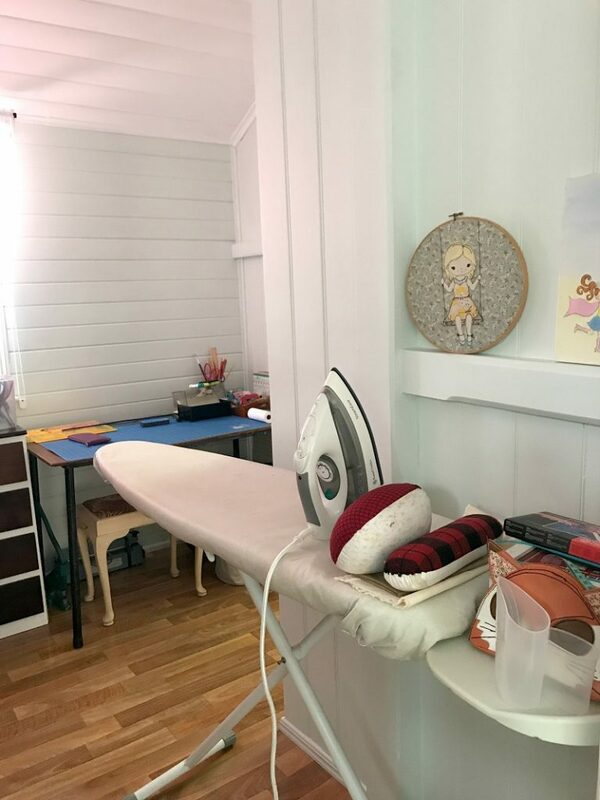 Another angle in the sewing room showing, my ironing board and cutting station in the background. Office space … I have a fancy new chair since this photo was taken. I’m really looking forward to working with and meeting some local businesses on upcoming issues of One Thimble! It’s back! And this year it’s bigger and better than ever! I’ve joined together with 32 fabulous businesses to bring you a HUGE Boxing Day Sales Event. One Thimble Issue 17 is out on Friday! 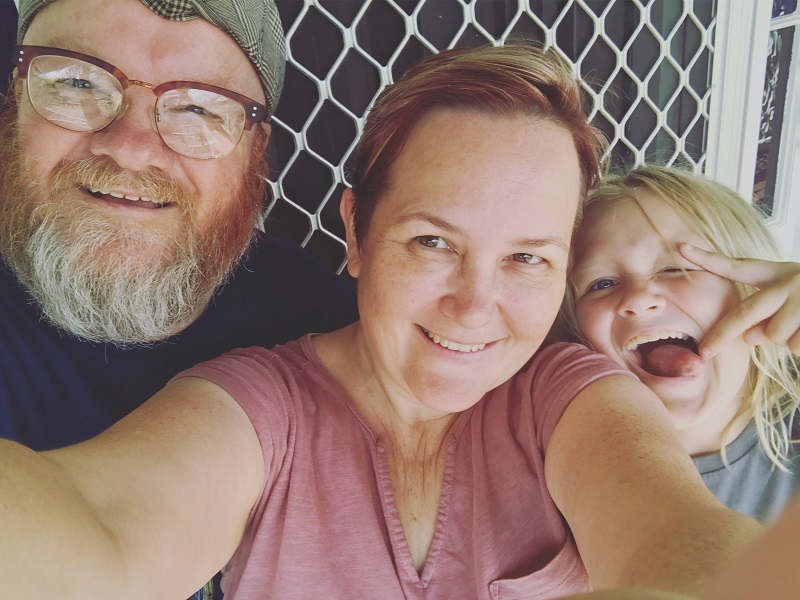 If you’d like to look inside One Thimble Issue 17 check out this flipbook!